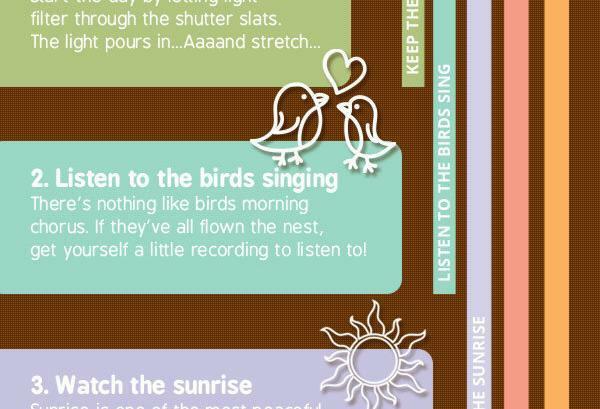 Infographic - 5 cheap ways to enjoy mornings, One With Window Shutters! 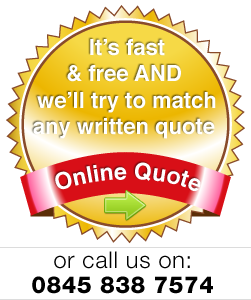 Cheap Shutters ⁄ News ⁄ window shutters ⁄ 5 cheap ways to enjoy your mornings. One with shutters! 5 (cheap) ways to enjoy your mornings. One with shutters! Listen to the birds singing. There’s nothing like birds morning chorus. If they’ve all flown the nest, get yourself a little recording to listen to! Watch the sunrise. Sunrise is one of the most peaceful times of day, perfect for reflecting. Don’t go back to sleep afterwards either! Do some exercise. Come rain or shine, excercising is the way to go! Take it slow or grab a speedy workout, whichever suits you. Brought to you by Cheap Shutters. Great prices, brilliant products, questionable infographics!